In the words of Frodo Baggins: IT’S DONE! We’ve come to our own Mount Doom, it’s the end of a 43 entries road. Will the final three manage to make a difference in the final ranking? Let’s find out! Stay tuned for a final round-up tomorrow! 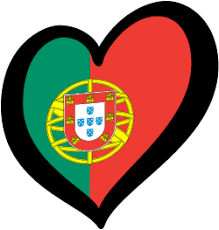 The Song: Again we get a very touching ballad from Portugal that’s great in all its smallness. It sounds like they’ve finally come into their own down south, even if this reminds me a bit of the superb London Grammar. It’s so understated and fragile, it gives me goose bumps every time I hear it. Could’ve been a tad less repetitive, but those lyrics are so touching! That, dear Germany, is how a ‘mourning’ song hits home. The Voice: As fragile as the song itself, at times a bit too fragile – but then again it suits the feeling of the lyrics to a T. The addition of the supporting voice mid-song helps to keep the attention and provides a nice balance. The Performance: Much like last year’s winner, the fact that someone young is singing something this timeless makes for an intriguing contrast. The way Isaura is there but isn’t really there is perhaps a bit clumsy, but at least it’s a new way of integrating a backing vocalist. Just keep it exactly as it was in FdC, I’d say. In one line: Pretty dark, but also pretty in pink. Why it will do well: It’s genuine and lovely. Why it won’t: It puts the bye in lullaby. Biggest competition in this semi: Lithuania, if they make the final. Pre-Contest status: Should sail into the top ten, but could easily end up 18th. The Song: Disney, table for two! This reminds me of the song that’s used in Tangled for the scene with the paper lanterns, and it makes this sickeningly sweet ballad a bit more digestible – even kind of endearing. I do somehow feel like I need to go wash myself after having written that. Standout lyrics: “Eres el arte que endulza la piel / You are the art that sweetens the skin” – ¿Qué? 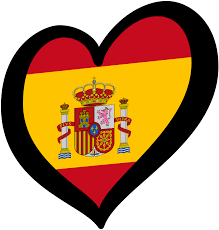 The Voice: Thank heavens for Amaia, who’s got the voice of an angel – cause Alfred somehow manages to sound very Spanish with those nasal notes. Too bad he gets to kick off the song then! He redeems himself in the harmonies though, he clearly feels more comfortable in a multi-singer set-up. The Performance: The yin-yang concept from Operacion Triunfo has surprisingly never been done at Eurovision and it kinda works in this romantic setting, so I don’t see why this can’t be repeated in Lisbon. Don’t know how to feel about the face-to-face chemistry though, it feels a bit too teenage drama for its own good. No, that’s a lie, I know precisely how to feel: uncomfortable. Perhaps some Lady & The Tramp spaghetti improvisation might defuse the awkwardness of it all? In one line: Don’t stand so, don’t stand so close to me. Why it will qualify: Because it makes people all gooey and longing for a violin playing goat. Why it won’t: Sugar overload. Pre-Contest status: Haven’t got a freakin’ clue what to make of this one. Should get Spain away from their usual bottom five though. The Song: Warning: one broken record coming up. After a glimmer of hope with a decent attempt in 2017, it’s back to square one for Auntie Beeb. That NF had a bit of potential but eventually we end up with something that’s simply utterly unexciting. 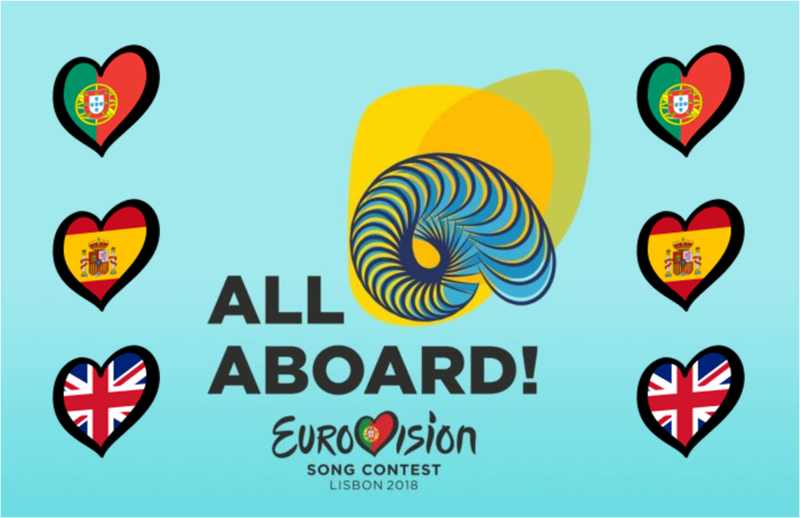 It sounds more like a song that’s created as a theme song for BBC’s children’s channel CBeebies than something that might actually have a shot at doing well in Eurovision – despite what that NF-jury that’s clearly stuck in the nillies might say. Standout lyrics: “I still believe in chasing rainbows” – We’ve been chasing rainbows for quite a while now, BBC. High time for that pot of gold. The Voice: SuRie’s a talented backing and ditto singer and judging from the NF her capabilities are undisputed. It just doesn’t feel like this song does her talent any justice, or even that the two of them are a great match. The Performance: Not sure if any creative concept, other than what we saw in YCNY, will stay upright through the storm-oh-oh. Why it will do well: Europe is susceptible to a childish tune. Why it won’t: Time for Tubby bye bye! Pre-Contest status: Another post ESC hangover in the making for the Brits. Stay tuned for a final wrap-up with conclusions and predictions!